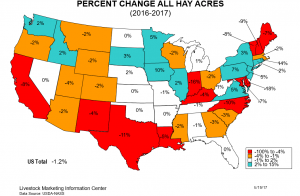 Producers are likely to have some issues securing adequate hay at affordable prices thanks to a continued deficit in Georgia and the southeast generally. 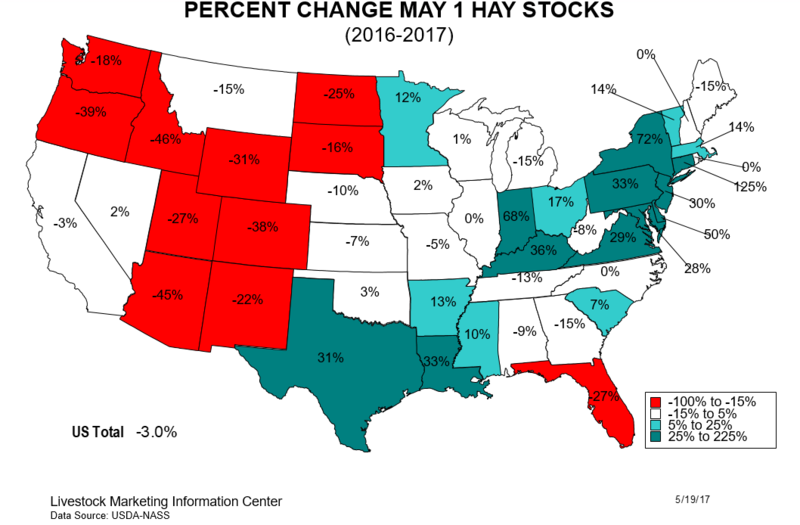 As of the May hay report, stocks were down 15% in Georgia, 9% in Alabama, 13% in Tennessee, and 27% in Florida. Stocks were 7% higher in South Carolina relative to 2016. 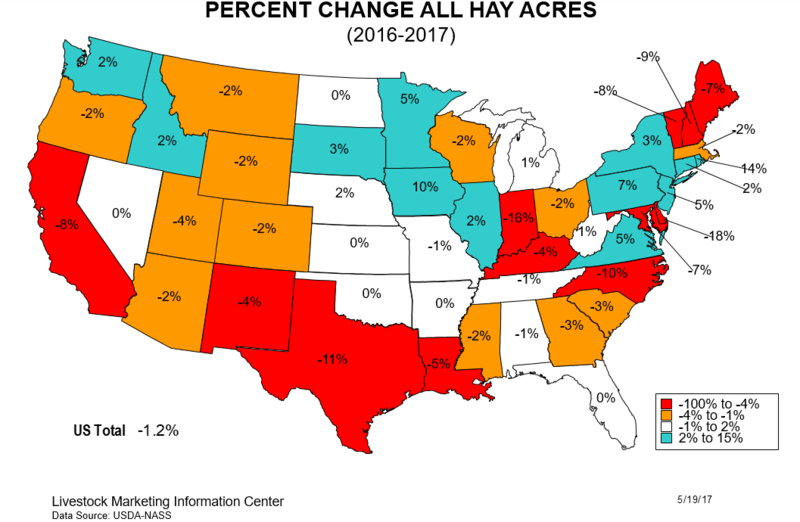 The percentage drop in Florida and increase in South Carolina are less important since those states contribute relatively little to hay stocks in the region generally. The recent drought has reduced hay acreage here in Georgia and acres are down across the southeast. This points to the potential for a slow recovery in hay stocks into next year as well. Fortunately, corn and soybean prices are not likely to rise dramatically nationwide in the next several months, which will help keep prices of typical feed ingredients relatively low. Posted in Beef Cattle, Management. This entry was tagged feed, forages, hay. Bookmark the permalink.